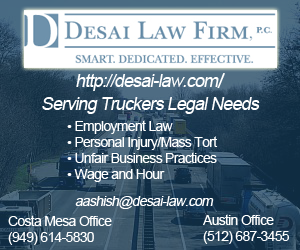 Addressing Truck Driver Fatigue caused by insufficient truck parking, not allowing drivers to comply with Hours of Service Federal Regulations, therefore preventing them to receive rest after driving 11 hours driving. Truck driver Jason Rivenburg, kissed his 2-year old son and pregnant wife good-bye on Wednesday, March 4, 2009. He dropped a load in Virginia and then headed off to his second delivery in South Carolina. He was 12 miles away from his destination when he needed to pull off the road. He was ahead of schedule and trucks are not allowed to show up at delivery sites early. The only place he had to park was an abandoned gas station – he’d heard through the grapevine it was safe. The grapevine was wrong. Jason was murdered in his truck that night. His killer stole $7.00. Thirteen days later, his wife Hope gave birth to twins. 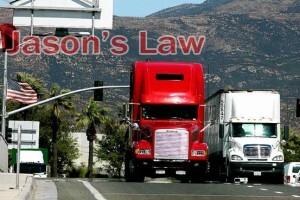 Jason’s Law to allow for more safe truck parking, received bi-partisan support in both the Senate and the House. H.R. 1803.sponsored by U.S. Reps Paul Tonko (D-NY) and Erik Paulsen (R-MN), with signatures from 26 supporting congressman. In the Senate, Senators Charles Schumer and Kirsten Gillibrand of NY brought forth S 1187. Jason’s Law was passed and made law in the 2012 Transportation Bill Map 21 As of this date there has been no significant addition of Truck Parking. The widow of Jason Rivenburg who has tirelessly fought for more safe truck parking initiated the National Truck Parking Survey which has been presented to the Department of Transportation (DOT). 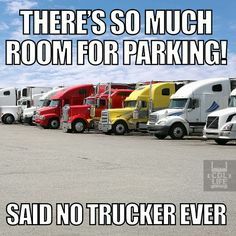 Lack of parking has been a major complaint for truckers for decades, confirmed though extensive research and funding by branches of the Department of Transportation, including the FMCSA. Because of a sluggish economy, many more parking facilities are closing down, increasing the need for more government awareness and public concern for the problem. Drivers are allowed to drive only 11 hours/day ( Hours of Service Regulations setby Federal Government)Knowing this, a driver must plan their trip accordingly in order to comply with regulations, not exceeding their driving limits. 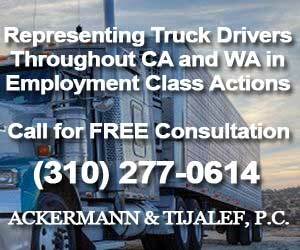 The Hours of Service rule for truck drivers contains an 11-hour daily driving limit and 14-hour work day limit. Note that this is strictly enforced and a driver who violates HOS receives a violation. 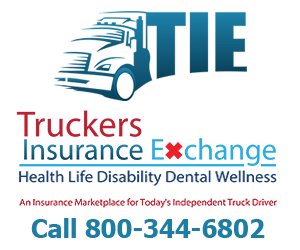 Since the FMCSA inception of CSA (Compliance Safety, and Accountability), these violations can prove to be damaging to both the driver and the carrier, as all violations will be recorded and maintained. If a driver can not find parking to rest, he/she not only risks receiving a violation, but more importantly risks the lives of those sharing the highways with them. 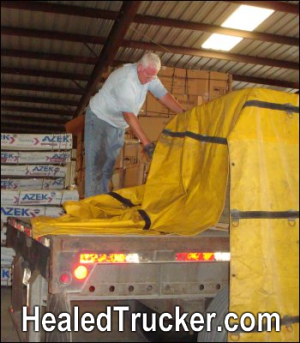 Sleep is the cure for fatigue– A truck drivers job is demanding, and the lack of rest can cause serious ramifications in regards to highway safety. If a driver plans his/her trip and there is no adequate parking available in either the rest area or truck stop, he/she is forced to move on, many times driving fatigued, looking for an available spot, whether that be legal or illegal parking. 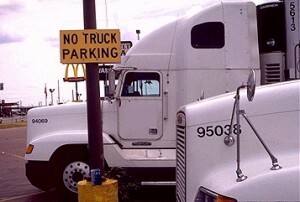 Forced to Park Illegally– Because of the combination of lack of truck parking and the HOS of service rule, which prevents truckers from driving after their allowed hours of driving time, truckers at times are forced to pull over on the side of a road to rest, many times on an exit or entrance ramp, causing severe highway safety risks for themselves and the general public. Forced to Park in unsafe surroundings – Drivers are forced many times to park in unsafe surroundings in order to get their much needed rest. This was the case for Jason Rivenburg, who parked in an abandoned gas station which resulted in his violent death. Jason was an open target for predators as he parked in an isolated area and was shot and killed before he could make his early morning delivery. 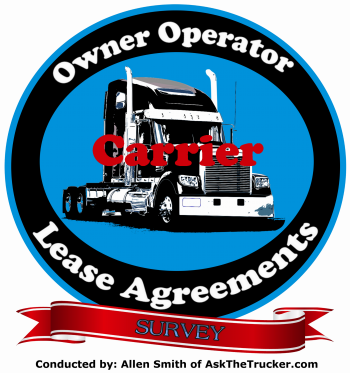 Shippers and Receivers – According to the data of the 2013 Truck Parking Survey, a major problem drivers are faced with is their pick up and deliveries at shippers and receivers. Many time drivers arrive early and are not allowed to park on the property of either, even though many facilities have ample parking available. Again this was the case for Jason Rivenburg who parked in a nearby abandoned gas station. 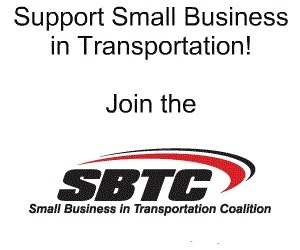 One solution suggested by SBTC is the Community Oriented Approach. 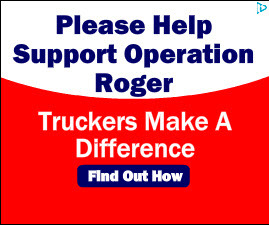 Recently, on June 26th 30 year old OTR trucker Michael Boeglin of Ferdinand, Ind. was shot and killed in his truck as he parked at an abandoned building waiting to pick up a load from the nearby ThyssenKrupp steel plant. 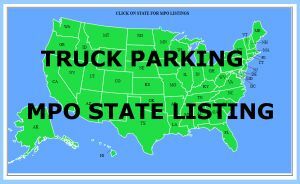 According to the data of the 2013 Truck Parking Survey, it has come to our attention that law enforcement, including DOT, has been waking drivers up for either ID, inspections, or asking them to move. 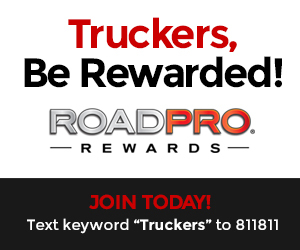 Drivers are mandated to REST as part of the Hours of Service Regulations of the FMCSA ( Hours of Service Regulations set by Federal Government)This behavior is unacceptable and unlawful, adding to the already serious concern of truck parking shortages resulting in lack of or interrupted sleep for driver. It also compromises safety of the highway for all as it encourages fatigued drivers to drive, ironically by those who are sworn to secure our safety. One solution has been brought up by SBTC, who is calling on law enforcement agencies to engage in sensitivity training to stop the unlawful practice of waking drivers up during the Federally mandated sleep periods currently plaguing drivers. 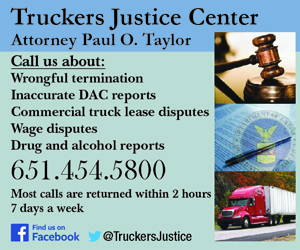 SBTC has determined there is a mechanism to report those local law enforcement agencies that habitually interfere with federally mandated sleep to the U.S. Department of Justice and we are inviting truckers to file Sleep Interference Complaints with the SBTC. 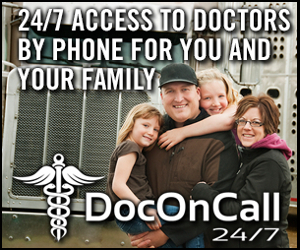 There are many other reasons which affect Truck Driver Fatigue, however, we must address the Issue of “Allowing Drivers to Sleep” if we are ever going to “cure” this problem. Answer: Yes, truck parking projects are considered a highway safety improvement and such improvements for segments of the National Highway System (NHS) are eligible under 23 U.S.C. 119(d)(2)(I). Find a full listing of state DOTs’ website via the Federal Highway Administration at this link. As I have said a thousand times. We need to fight the 14 hour clock. It is a law that has the completely opposite effect of what was intended. We have to hurry thru our day to “beat the clock” in order to make a paycheck. 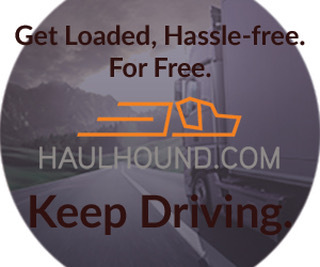 We have to worry constantly at any delay at a shipper or receiver because our clock is running and we may not have time to park legally and safely. No 14 hour clock no worries about time running out before we can park. Most of us out here, are out here because we are flexible in our sleep schedule. We know to sleep when we are tired and before the 14 hour clock, we did. We napped to avoid rush hour in cities, school zones. We also could break for a decent lunch and\or shower. Now everything must be crammed in to fit the clock. Yes the cure to fatigue is sleep. But I sleep when I am tired and cannot sleep because the clock tells me to. Common sense and good judgement should dictate when you sleep. Not any clock nor any other person. Letting dispatch drive your truck is a recipe for disaster. 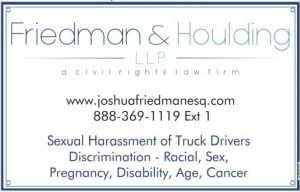 You drive your truck when you feel you should any other decision should be cause for giving up your CDL. Most of the parking “shortage” is due to the 14 hour clock. Before that fiasco of a law, it was nothing to head in to a customer, decide if it was a good place to park or to “circle the wagon” and see if there was any safe parking nearby. We are now so time constrained there is no “extra time” to find parking. As an Instructor I teach Hours of Service to all my students and fortunately my company complies with HOS regs. I do warn my students that they will encounter clients who insist on them going the “extra” mile. I tell them that they will be pressured to drive a little further or just a little longer but violating the HOS will end with a fine and being taken “out of service”. I think everyone needs to remember that HOS goes hand in hand with Fatigue Awareness. You cant go over hours and drive fatigued. That’s when people die! As a company we would like to have our agents support our efforts to implement Jason’s Law, a law written to make parking safer for drivers. The law is in place, the implementation is not. Truck driver Jason Rivenburg, kissed his 2-year old son and pregnant wife good-bye onWednesday, March 4, 2009. He dropped a load in Virginia and then headed off to his second delivery in South Carolina. He was 12 miles away from his destination when he needed to pull off the road. He was ahead of schedule and trucks are not allowed to show up at delivery sites early. The only place he had to park was an abandoned gas station – he’d heard through the grapevine it was safe. 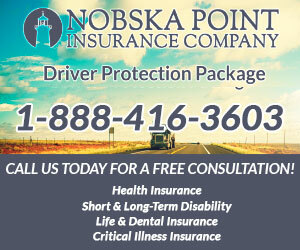 We as a company and as an industry need to help ensure the safety of drivers. If you tweet, tweet about it, if you LinkIn post about it. 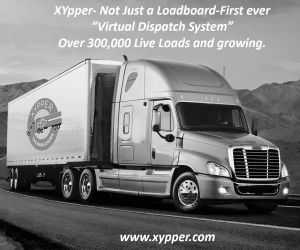 If you simply want to help in other ways, talk to shippers, receivers, drivers and dispatchers about it. This is something to give back to those who do so much for us. Nobody should have to place themselves in dangerous places to comply with rest requirements. The new HOS regulations demand more rest periods, those places to rest should be safe. Another problem with parking is four-wheelers in rest areas. Many time I have pulled in only to find two or three truck/rv spaces taken by cars or pickups. Sometimes the folks are having a picnic, other time they are asleep. I have been told to move when I was so exhausted my only option was the car parking area. But car drivers are never told to move to provide safe havens for truckers. Until solutions are created to resolve parking issues, drivers should be allowed additional time outside of “driving time” and “on duty time” to access parking. Many times this is the only part of the day a driver can take care of personal issues, like taking a shower or eating. If there are no facilities at the parking location then he must stop some other time of the day, or do without. The General Public is oblivious to the situations, sacrifices, and lifestyle of professional drivers. We need to reveal the truths of the industry and get them involved… and they will. It’s been covered up way too long. I agree with everyone, the federal government needs to force all shippers and receivers to provide a safe place to park on property especially when they detained a driver past their appointment time.I have run in to that problem many times and I’m sure everyone else has to. Now I’m forced to retire from driving due having my bladder and prostate removed due to cancer and having to wear a urosmoy bag for the rest of my life.